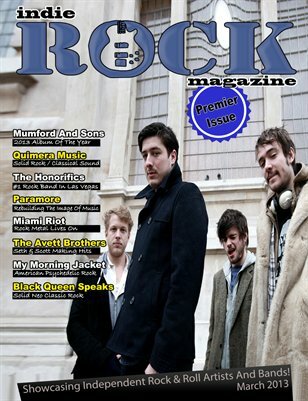 The premier issue of Indie Rock Magazine. The Grammy win for Mumford And Sons, Quimera Music, Paramore, The Honorifics, Miami Riot, The Avett Brothers, My Morning Jacket, and Black Queen Speaks make this the perfect issue to start with. Please read and review.